The S is for speed. And shine. And spectacular. With its screen off, you'd be forgiven for thinking the iPhone 6s hasn't changed all that much from its year-ago predecessor, save for a color tweak: After all, it still sports a 4.7-inch display, curved aluminum casing, dual cameras, and Touch ID sensor. But just as you shouldn't judge a book by its cover, you shouldn't overlook this year's iPhone on appearance alone: Almost every internal component has seen an upgrade, and that "same-old" exterior design? It's tougher than last year's model, with better materials. Combine that with Apple's latest version of iOS and iPhone 6s-exclusive software features, and you're looking at an entirely new device hidden within the shell of its predecessor. "Okay, Apple's new phone is its latest and greatest yet, blah blah blah. Is it the right smartphone for me?" Well, dear reader, I spent fourteen days juggling an iPhone 6s, 6s Plus, 6, and 5s to help you answer just that very question. Whether you're curious about speed, camera improvements, Touch ID magic, or just how cool 3D Touch and Live Photos actually are, you'll get your answer here. So, without further ado, I bring you: Two weeks with an iPhone 6s. The iPhone 6s is chock-full of great improvements over previous models—along with the 6s Plus, it's the best smartphone Apple has built yet. 3D Touch is a game-changer, and the photography and video improvements make this a great smartphone for just about anyone looking to hop into Apple's ecosystem. If you need more battery life, want to shoot a ton of video, and price is no obstacle, you'll want the iPhone 6s Plus. But if you're looking for a gateway into Apple's world, this is the best phone in which to do it. We put the iPhone 6s through its paces in downtown Providence, RI, and even considered doing a water resistance test. (Accidentally.) This was all shot and edited on the iPhone 6s Plus. Want to know how we did it? Check out our behind-the-scenes explainer here. Let's get this out of the way: In addition to its space grey, silver, and golden hues, the iPhone 6s now comes in, yes, rose gold. Honestly, there have been so many different color monikers to describe Apple's newest iPhone shade that you'd think we were seeing the next generation of Buzzfeed's "gold and white or black and blue" debate. But having spent several weeks with the decidedly pinkish device, I understand why. The rose gold iPhone 6s, like its golden predecessor, takes on slightly different hues depending on how light hits that beautiful new 7000-series aluminum case. In bright lighting, it looks almost like champagne; in dark, husky lighting it appears as pink as pink can be. But, like the golden iPhone 6, the case's many shades look anything but obtrusive: They hit on a subtle, shimmery red-gold spectrum, and I found the color growing on me the more time I spent with the phone. Aside from color, the iPhone 6s appears relatively unchanged from last year's model. I say "appears," because there's quite a lot going under the hood—including, well, a new, stronger hood. There's the aforementioned tougher aluminum casing: The 7000 Series material first used earlier this year in the construction of the Apple Watch Sport (and also, Apple brags, the material used in the aerospace industry). While the Internet is rife with speculation that Apple upped its aluminum game because of a small number of iPhone models bending under pressure, I'm choosing to believe instead that Apple saw the procession of dented, cracked, and pockmarked iPhone 5 and iPhone 6 models flowing into their Genius Bars and decided to make their lives easier. Same goes for the glass screen: Apple claims it's the strongest smartphone glass in the world, thanks in part to a new dual-ion-exchange process—again, borrowed from the Apple Watch Sport. And as someone who broke two iPhone 6 models last year in quick succession after never having previously broken a screen—not to mention the scratches and nicks I picked up on my third model—I'm especially thankful for this improvement. We didn't do drop tests here at iMore because we have weak stomachs where destroying technology for fun is concerned, but I have been regularly storing the iPhone 6s in my pocket or bag with scratch-inducing materials and seen no nicks or impressions in the otherwise glossy screen. What about the iPhone and water? There's been much made of the fact that the iPhone 6s is a bit hardier than past iPhone models when it comes to submersing it into a pool of water. This isn't something Apple's publicly advertising, and for good reason: Companies generally don't want to encourage you to intentionally dip expensive electronics into death-inducing liquid. But rain, spills, and the dreaded toilet dunk have all happened to iPhone users past, and, as with the aluminum and glass improvements, Apple appears to want to make a bad day in an iPhone user's life slightly less terrible. Now, should you be unlucky enough to drop your iPhone in a toilet, it has a slightly better chance of survival thanks to new adhesives within the display and silicone seals on vital cable connections. No, these improvements won't save every water-damaged iPhone, but they're an awfully nice bonus for clumsy consumers. Underneath that glass, we've got that same beautiful 1334-by-750-pixel Retina HD screen from last year. Yes, it's still LED—no OLED switch this year. Nor are we seeing a 2K or 4K pixel density improvement in the display. But I don't mind. When it comes to actual, game-changing features, I vastly prefer the path Apple chose to take: incorporating pressure sensitivity into its displays. The way 3D Touch works at a hardware level is through an array of capacitive sensors integrated into the LED backlight system. They measure microscopic changes in the distance between the array and the cover glass—the kind of changes created by pressure from your finger. That's combined with data from the accelerometer, which knows how your iPhone is moving through space, and with data from the capacitive multitouch sensor, which knows where your finger is on the horizontal and vertical planes, so Apple's algorithm can provide for the precise, linear, and continuous tracking of pressure events. We'll talk more about that and 3D Touch later on in the review. But on hardware construction alone, I'm impressed that Apple was able to cram in all that extra screen functionality with essentially no change to the iPhone's dimensions—the 6s sports a 7.1mm depth to the 6's 6.9mm, but otherwise, the phones are virtually identical in size. 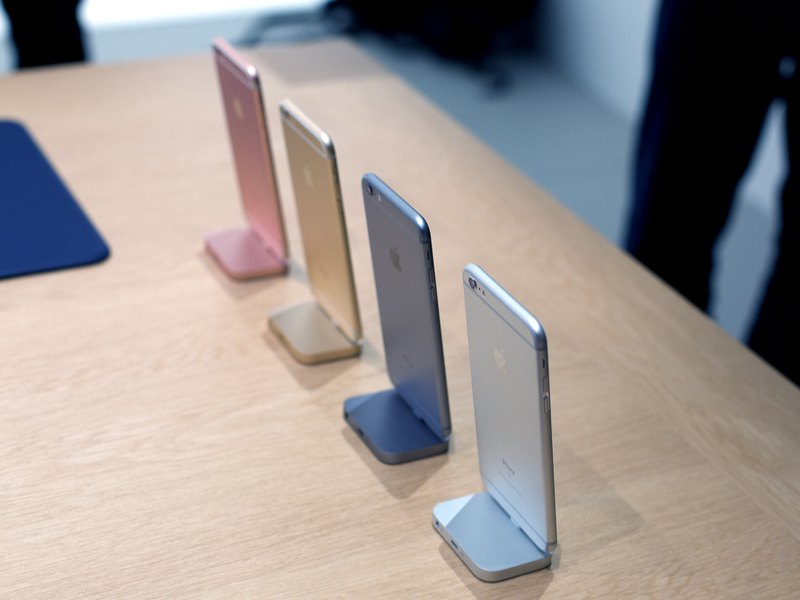 The iPhone 6s feels a bit less slippery in your hand, too, courtesy the improved aluminum finish. It's still not nearly as cozy in the hand as the iPhone 5s, but that's in large part to the curved sides of the 6-series casing: Save for a redesign or garish rubber bumpers, those corners are here to stay. Are these improved materials going to stop you from dropping your phone? Probably not. Is the phone going to survive every drop now? Also unlikely. But, as Rene said in his iPhone 6s Plus review, anything that enhances the odds of a drop not annihilating your phone is a good improvement, and makes you feel far luckier than you may actually be. That said, I'm still going to rock Apple's silicone and leather cases on my iPhone 6s. Yes, they cover up the vast majority of that gorgeous rose gold shimmer, but better a covered-up rose gold iPhone than a smashed-to-bits rose gold iPhone—especially given my track record with this model of iPhone. Apple's tagline for this device is "The only thing that's changed is everything," and tongue-in-cheek or no, there's a lot under the hood that's been vamped and rethought. You may be eyeing the new iPhone for its 4K video or camera improvements or 3D Touch, but its sheer speed is the feature I keep coming back to. "But, Serenity," you say. "Every generation of iPhone is faster than its predecessor. It's kind of how the 'upgraded iPhone' thing works." And you'd be right. But the 6s feels noticeably faster, weeks into ownership—with a full load of third-party apps and custom settings!—than any other previous upgrade. In part, this is due to iOS improvements, but the real hero here is the A9 processor, Apple's latest system-on-a-chip (SoC). The A9's 1.85Ghz dual-core chip is so speedy, it comes close to outpacing the 2015 MacBook, and benchmark tests from Anandtech and Geekbench show it at the top (or near it) on the single-core and multi-core charts. Apple boasts it's 70 percent faster than the iPhone 6, and I wholeheartedly believe that: Everything is snappier, smoother, and cleaner—and that's coming from an iPhone that was pretty fast in its own right. Hiccups I'd regularly trigger on the iPhone 6—like pulling down on a Messages notification banner to reply—are effortless on the 6s. The GPU year-over-year is even better, according to the folks at Cupertino: a 90 percent speed increase. And again, I'll agree. I spent 48 hours editing a 7 minute 4K video on an iPhone 6s and 6s Plus—a task that would make almost any GPU cry out in pain—and rarely saw a hiccup or lag in playback, rendering, or moving clips around. In contrast, my two-year-old iMac attempted to play five frames of a 4K clip from my iPhone 6s Plus in Final Cut, then abruptly quit. It's a strange world we live in where I now prefer editing on a smartphone to my desktop, but here we are. Silently assisting all of the iPhone 6s's tasks is 2GB of RAM, a doubling from last year's model. The active benefits from this much memory are less obvious on the 6s than the 6s Plus—landscape mode on the larger device renders multiple scrolling targets in a flash—but still very beneficial in apps like Safari, where you no longer have to worry about background tabs re-rendering every ten minutes. RAM is one of those things no user should ever have to notice or worry about, and with 2GB, this feels true on the iPhone at last. If you're not a benchmarks person, that's understandable: Charts and graphs are nice, but often headache-inducing if you don't know what you're looking for. Instead, let's talk about my favorite way to demonstrate the speed of the iPhone 6s: Touch ID. Touch ID was introduced with the iPhone 5s as a more secure way to unlock your device—and later, a way to use Apple Pay, buy things on the iTunes and App Stores, and protect your sensitive data within apps. It's always been fairly quick to authenticate with the on-device Secure Element; no one would have ever used it over a passcode if it weren't. But the iPhone 6s feels like a game-changer for Touch ID adoption and active use. It's so quick now that you can turn off your iPhone 6s, press the Home button, and your Home screen or app of choice will appear almost immediately. App purchases are faster. Apple Pay is speedier. Partial thumbprint recognition (putting the side of your thumb on the Touch ID scanner) is so much better. In unlock tests against every other previous Touch ID model, the iPhone 6s smoked the competition: Seconds faster than the iPhone 5s and milliseconds better than either the 6 or 6 Plus. I don't know how many users with Touch ID-capable devices are still opting for passcodes over thumbprint authentication, but I'm hoping that the 6s will win over quite a few of the holdouts. It makes entering a password or lock screen code look downright archaic, in contrast. There is one downside to Touch ID's lightning-quick unlock: If you're used to using your Lock screen as a notification collector, you'll need to start waking your iPhone with a non-Touch ID finger on the Home button, or use the On/Off button to turn the screen on. Otherwise, you'll find yourself accidentally on the Home screen before you can read whatever snarky Slack barrage happened in your absence. Apple's voice-activated assistant has gotten a speed boost on the iPhone 6s, too: These days, Siri's wit isn't the only thing snappy about it. Apple's personal assistant is now faster at responding to your queries than ever before, listening immediately upon a Home button press, no double-buzz or beep required. That buzz or alert returns when you hook your iPhone up to a Bluetooth controller of some sort, due to the natural lag between the wireless connection and your iPhone. But if you're speaking to the iPhone itself, you can begin delivering your query before the Siri screen even appears. Atop that, Apple has solved its "Hey Siri" battery drain problem by shunting the brunt of that work over to the dedicated M9 co-processor: Now, if you have a 6s, you can trigger "Hey Siri" wherever you want—whether your iPhone's plugged in or not. I've had the trigger phrase both enabled and disabled since receiving the 6s, and haven't been able to discern any notable battery differences between the two states: The power draw appears to be minuscule, the user benefits great. If you're worried that auto-on Siri is going to cause a lot of hilarity at parties when five friends' iPhones 6s mis-understand a "Hey Siri," don't be: "Hey Siri" is now mapped to your voice. When you first set up your iPhone, it runs you through a voice-mapping simulation, giving the co-processor time to analyze your voice patterns and execute accordingly. My voice is my passport, indeed! I've had a bunch of friends try to trigger my iPhone with "Hey Siri," and only one success—via a friend of mine who speaks in a similar timber to my own. So while Apple's tech may not be perfect for a vocal passcode, it certainly works well enough to deter most foreign voices from accidentally lighting up your smartphone. The A9's speed doesn't just improve hallmark features like Touch ID and Siri: It can be found all over iOS, whether you're in a third-party app, on websites, or connecting to a network. For example, turning off Airplane mode, a multi-second wait on the iPhone 6, is so blisteringly fast here that you'll likely be up and connected to your cellular network before you drop the Control Center pane. This is a double effort from both the A9 processor and the iPhone's cellular radios—which have grown yet again this year. The iPhone now sports an LTE Advanced spectrum that offers up to 300 megabits download speed per second (mbps) if you're in a city that supports it. And if you're on Wi-Fi, that gets even better: 886 mbps using multiple-in, multiple-out (MIMO) antennas. Your Wi-Fi networks may not ever be that fast—mine certainly aren't—but the extra channel space lets the iPhone roar through website load times when it has the option. Even discounting iOS 9's content blockers, the iPhone 6s just feels faster on the web. That 2GB of ram helps, too, letting me load more websites and not worrying they're going to spontaneously reload if I look at too many other pages. That A9 processor and extra RAM also help power the cornerstone feature of the iPhone 6s: 3D Touch. I've been asking for it for years, and Apple has at last delivered—we have, in our hands, a pressure-sensitive screen. And yes, that means pressure-sensitive drawing with either a finger or stylus. Currently, the drawing pressure APIs are available only in the Notes app, but third-party apps are coming soon, and I can't wait. This implementation is a little different from the upcoming iPad Pro: For the Pro, all the 3D Touch pressure functionality is hidden away in the Pencil tip; the actual iPad screen is as vertical-pressure-challenged as it always had been. On the iPhone, the entire screen is mapped for 3D Touch. You can press anywhere on the display, at varying levels of pressure, and get different reactions. I've been doodling a lot in the Notes app since receiving the 6s, and have absolutely loved what I've been able to do with the new screen. The lag is better—though still noticeable—and pressure, combined with zoom, lets you sketch some amazingly detailed and fluid lines and colors. My iPhone 6S with 3D Touch is reporting 400 levels of pressure. Impressive! If 3D Touch was only about pressure-sensitive drawing, I'd be head over heels. But Apple wasn't content to stop there. 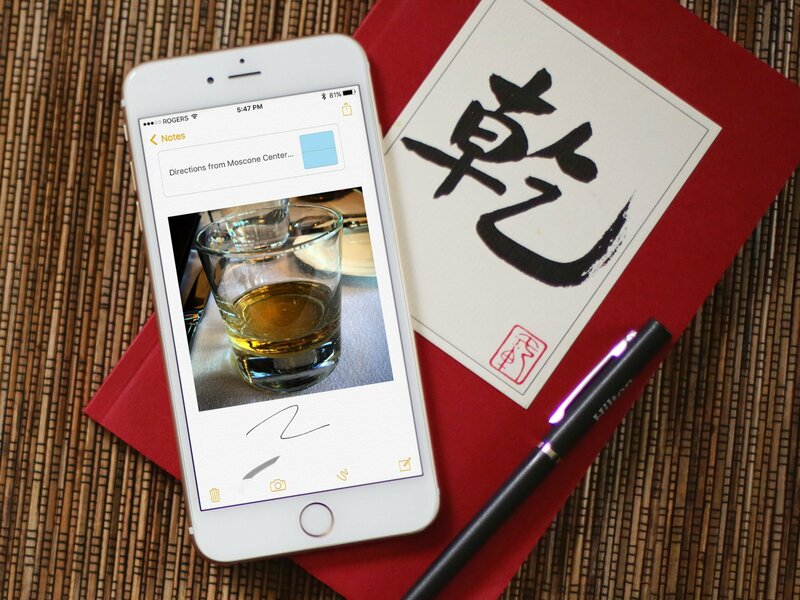 Instead, 3D Touch uses that pressure data to create smart actions that expand far beyond doodles and sketches. On the Home screen, you can use it to access commonly-used actions by pressing on app icons. Press lightly on an applicable link or button in any program, and you can physically peek into that content, or press just a bit harder to pop right into the app. Those presses, peeks, and pops all come with happy haptic feedback for each level, letting you know just how far you've come. Not only is this a great move for touch-based accessibility, it's just fun. Transitioning from peek to pop reminds me a bit of puncturing bubble wrap—you get that same kind of ripple pop, and it feels oh so good in your hand. It's also the best implementation of shortcuts I've ever seen on a mobile device. We've seen this since the iPhone's release: Intuitively, to explore iOS, there's a lot of exploratory tapping and swiping. When you add in vertical movement, there's a whole extra level of discovery and whimsy: "Pop! Hey! My phone buzzed when I did that. Why? Oh, I pressed on this app? Oh, what else can I press?" Once you know they're there, it's so simple to discover 3D Touch shortcuts that I can easily see the general population picking it up a lot faster than your typical OS X obscure keyboard commands. Finding out, on your own, that Command-Q equates to quit? It's a lot more obtuse than pressing and swiping. There are a lot of cool system tricks you can pull off with 3D Touch's various shortcuts, peeks, and pops, most of which Rene has cataloged in his review. The real game-changer will come as more third-party apps incorporate 3D Touch across the board into their apps. So far, I've only seen a handful, and those mostly just offer Quick Action menus when you press on an app from the Home screen. The few apps I've seen with extensive 3D Touch support, however, are the ones I want to spend my most time in. In case you haven't guessed by now, 3D Touch is one of my favorite features in recent memory, and its shortcuts are genius: a side-screen press shortcut to the multitasking screen; a peek into your past camera roll photos by pressing on the Camera Roll button; a peek into your calendar when you press on a date or time. That said, I do have a few nitpicks. Because of legacy iPhone models, the tap and hold gesture still exists. It does things like send you into Edit mode on your Home screens, but it's much harder to trigger in the world of Peek and Pop—especially without any sort of haptic feedback. There's actually very little haptic feedback outside of the stock 3D Touch actions, and some of that feedback is inconsistent across iOS, which is a disappointment. If you tap on a non-3D Touch app on the home screen, for example, it shakes and the haptic motor sends a quick double-buzz. But I'd love to see that "uh-uh" warning incorporated across the board if I attempt to Peek or Pop on something un-3D-Touchable. Even taking nitpicks and lack of apps into consideration, though, 3D Touch is an incredible leap forward by iOS's user interaction team, paved by the pressure-sensitive models seen in the Apple Watch and MacBook trackpad. Apple's S-models have always had excellent camera improvements—the very first S-model I bought, the iPhone 3GS, introduced video recording and a higher megapixel camera—and the iPhone 6s is no exception. This year, the iPhone gets a long-awaited megapixel boost to both its cameras: The rear camera now sports a 12 megapixel sensor with improved low-light technology and local tone mapping, while the front camera received a huge boost in the form of a 5 megapixel sensor and a faux-flash option called Retina Flash. When it comes to well-lit shots, the iPhone 6s's rear camera and that of the iPhone 6 are very competitive. Where the 6s shines is in harsh HDR lighting or low-light conditions: It attempts to brighten and smooth even the darkest shots and corners. Panoramas, too, have better and softer lighting detail. If you're into selfies, you'll love the new and improved front-facing FaceTime camera: up from 1.2 megapixels last year to a full 5 megapixels with low-light processing, it simply blows away front-facing photos and video from previous-generation iPhones. The addition of Retina Flash—which illuminates the device's 4.7-inch screen when you snap a shot—gives just a little bit extra light on your faces when photographing a scene without underexposing out the background. It's not the best flash in the world by a long shot, but it's a nice bonus. Whether you're shooting from the front or back, iPhone 6s and 6s Plus users have access to Live Photos: Apple's new way of making moving pictures. Yes, the Cupertino company has seemingly rebranded and introduced "short videos" to the world in the form of Live Photos. Snap a photo with the Live Photos indicator on, and in addition to a 12- or 5-megapixel image, you'll also get a 3-megabyte 45-frame video with 22.5 frames captured before and after your original shot. The whole process reminds me a lot of the popular one-second-video collages used to capture the movement of a year. I tried to follow the fad at the beginning of 2013, but gave up on capturing video after about a month—it was just too difficult to actively think of "interesting" new things to shoot in my fairly non-adventurous daily life. With Live Photos, you're capturing those sorts of videos without even thinking about it. I can't wait to see the first person's "Year in Live Photos" video. I'm sure it will be beautiful. As a work-around, you can download any 3-second Live Photos movie file using Image Capture on your Mac, but it removes the still-image-transition-into-video you'll see with an actual Live Photo. 4K Video: Is it worth it? Enough about faux-moving pictures. Let's talk about the real video star here: 4K. Yes, the new iPhone can shoot a 3840x2160-pixel frame, and yes, it can even handle dual-stream editing of those 4K shots in iMovie. That's better than my two-year-old iMac—it barely knows what to do with all those pixels, crashing half the time I attempted to load a 4K clip into Final Cut. Let's get one thing straight, though: 4K isn't going to create revolutionary imagery of your family reunions. It's simply a bigger picture with more detail. It's also stuck shooting 30 frames per second to 1080p-recording's 60, so you won't have extra movement detail in your film, and its files are gigantic: 375 megabytes per minute. But for anyone who regularly shoots video on their iPhone, 4K offers a lot of latitude for post-production cropping and zooming, and will come as a great additional tool in their toolbox. How I shot and edited my iPhone 6s review on the iPhone 6s Plus--in 4K! My big camera bummer: The iPhone 6s still doesn't get the optical image stabilization of its big brothers, the 6 and 6s Plus. C'mon, Apple—if the camera's going to stick out from the casing anyway, might as well put in that extra hardware. Additionally, Slo-Mo is still stuck at 720p if you want a full 240fps, though low-light and coloration are much better in those shots. With all that the iPhone 6s can do, it's understandable that battery life is a concern: No one likes seeing their smartphone drain to 30 percent before noon. As someone who regularly exsanguinates iPhones of their power, I was a little hesitant about the battery life on the iPhone 6s: Technically, the batteries inside the 6s are ever so slightly smaller than their predecessors, which I expected to mean, real-world, around 8-10 hours of power. But the iPhone 6s has an ace up its sleeve that makes its battery life oh-so-much more manageable: iOS 9 and Low Power mode. The feature lets you disable a host of battery-draining options on your smartphone with the tap of a switch. I've jokingly said before that I'd live on Low Power mode if Apple let me—the switch automatically turns off when you're at 80 percent battery or above—because it's given me so many more hours of browsing time. Previous iPhone models can take advantage of Low Power mode too, of course, but the 6s has the benefit of both having a brand-new battery and the latest battery management tricks from Cupertino on the processor side. In my tests, I've turned my device on at 8AM, heavily used it throughout the day, and had it last me until 10 or 11PM without a charge thanks to Low Power mode. Those who don't live on their smartphone should see even longer battery life. It's easy to say "Low Power mode makes it all better and gives me X extra hours" and be done with it, but it's not just about hypothetical benchmarks: It's the real-world benefits. People heading home from work after a heavy smartphone day and needing that last 20 percent of battery to last them their commute home. Taking a hundred photos you wouldn't otherwise be able to snap. Getting 10 percent to last you the hour you need to get to a charging station. Do I wish the iPhone 6s battery offered more power? Absolutely. But the compromise there would have necessitated either a slower processor or a casing redesign for a thicker shell, and I don't think either of those is in Apple's goals right now. The company is happy, instead, to hit or slightly improve last year's benchmarks while it looks to push the boundaries of its processors and software ever-further. That's not going to thrill everyone. But for those folks, Apple offers the battery-laden iPhone 6s Plus, or third-party battery cases. And if 24-hour battery life is really all that important to you—moreso than Apple's ecosystem: There are other brands out there with bulkier smartphones and longer batteries. As Rene mentioned in his 6s Plus review, the ecosystem surrounding the iPhone 6s is as much a part of why you'd want an iPhone as the technology of the smartphone itself. If you have a Mac, other iOS products, or an Apple Watch, you can interact seamlessly with those devices using Continuity and Handoff. You can connect up your Music and Photo libraries across all your devices. You can even hook your iPhone up to any number of cloud services, including Google, Dropbox, and Microsoft. The real kicker, though, is the app ecosystem: A million-plus apps, ready and waiting for your personal needs. The "App for that" campaign may be long gone, but the truth behind it remains: No matter what you need to do, the store likely has an app for you. You can build a life, career, social media sphere, camera club, and so much more on your iPhone. I've downloaded thousands of apps since I purchased my first iPhone in 2008, and while some of them have been more helpful than others in the long run, they've all helped me try something new on my device. Like third-party apps, I prefer some of these over others—I'll use Fantastical over the stock Calendar any day, but I keep coming back to the stock Maps and Notes apps. For you, it all comes down to preference and experimentation: What do you like to do? What do you want your smartphone to help you with? How can this piece of glass improve your day-to-day activities? One of the nice things about the S-line keeping the same basic shape as its predecessors is not having to wait for manufacturers to come out with "iPhone 6s" specialty cases and accessories. Pretty much everything out there—excepting a few cases with tight space tolerances—with a 6 branding will work with the 6s, including Apple's silicone and leather cases. I've picked up quite a few of these over the last year, and they're one of the nicer lightweight options on the market. They also have new colors to match the new rose gold iPhone as well as the new Apple Watch bands: On the silicone side, you've got white, charcoal gray, stone, antique white, blue, turquoise, midnight blue, lavender, pink, orange, and product red; leather colors include midnight blue, saddle brown, rose gray, brown, and black. Apple's other accessories should work just fine as well, including the Lightning Dock from earlier this year. Should you want to color match, however, Apple has also made the dock available in new, matching metallic finishes of space gray, silver, gold, and rose gold. Those panicking about 3D Touch nullifying plastic and glass screen protectors: don't. Screen protectors still work with 3D Touch on the iPhone 6s, and Apple and other retailers are specifically labelling the ones they sell as such. Always check with the manufacturer, however, if you have any specific concerns. With new versions of the aluminum Apple Watch Sport available, I'm actually rather surprised that the company isn't making a bigger push to pair new iPhone models with a new Apple Watch. You need an iPhone to use an Apple Watch, and the new rose gold and gold watches match the aluminum iPhone casings to a tee. If you haven't picked up an Apple Watch yet and you're debating its merits alongside a potential new iPhone purchase, I can't recommend it highly enough—if you think you have a use for it. Just like with the iPhone, the Apple Watch has a myriad number of potential uses, but unless they're relevant to you, you may find the only use you have for it is "in the bottom of a drawer." In part, I love my Apple Watch as an iPhone companion because it frees me from being addicted to that beautiful 3D Touch screen. Yes, it may seem silly to buy a new iPhone and then be glad not to pull it from your pocket, but there are circumstances where I'd much rather glance at my watch than have my iPhone on the table. Add to that the convenience of custom clock face complications, Siri on my wrist, Live Photos on my watch display, health tracking, and so much more, and it's simple to see why the little wrist gadget is my perfect iPhone 6s companion. It may or may not be yours—but it's worth a consideration. Apple includes 5 GB of iCloud storage with every Apple ID. That now includes iCloud Photo Library for pictures and video, and Apple Music Library for songs. Both use a nearline model which means more frequently used and recent files are kept locally while infrequently and older files are kept on Apple's servers, only a tap and a download away. Dropbox, Google Drive, OneDrive, and other popular storage providers, as well as Google Photos, Flickr, Spotify, Rdio, and all major photo and music services are also available. Apple Stores, especially when combined with iCloud and the extended warranty service, AppleCare+, provide remarkable customer support for iPhone 6s Plus owners. Apple specialists can help you test a phone to make sure it's what you want, help you set it up, teach you how to use it, and if anything goes wrong, help you fix it. 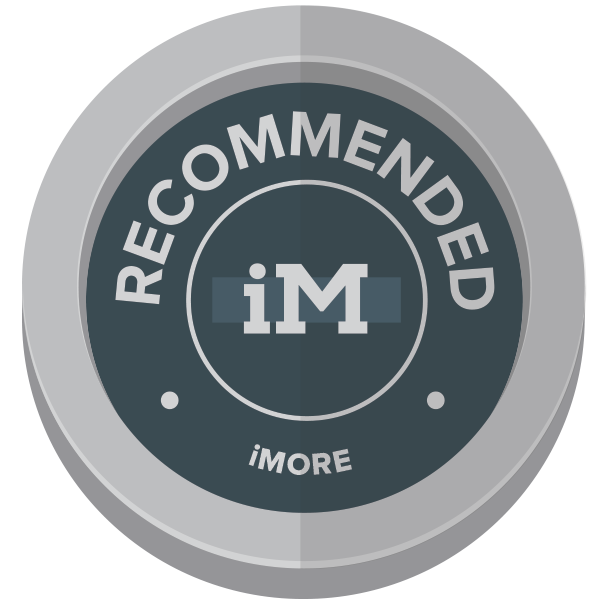 It's a feature not always included on competitive checklists but anyone who's ever needed to avail themselves of it knows just how important a feature it is. With AppleCare+ you can walk in with a damaged iPhone, get a replacement, restore from backup, and walk out with all your data, just the way you left it. It's one of those things few people appreciate until they're in desperate need of it. The iPhone Upgrade Program is more expensive than some carrier options, but it includes AppleCare+ which makes it highly competitive overall. If you're interested in upgrading every year, and you want AppleCare+, the iPhone Upgrade Program looks terrific. 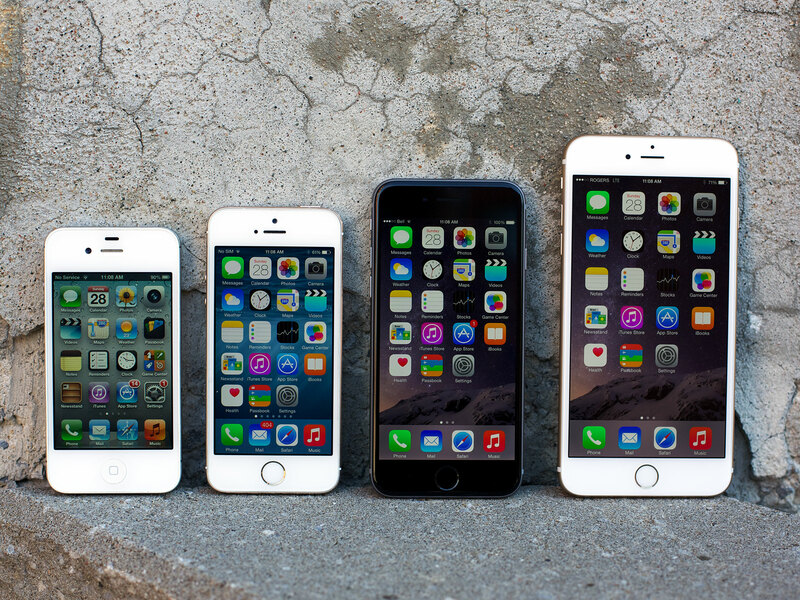 This generation of iPhone models is, quite rightfully, Apple's best yet. They've come farther in speed, photography, build quality, and smarts than ever before. The iPhone 6s stands apart from the 6s Plus with its smaller 4.7-inch stature and lack of optical image stabilization, but it's also easier to carry and use, and still a powerful member of the iPhone line. Is it right for you this year? Depends on what you want. If you're upgrading from an iPhone 5s or feature phone, this is the granddaddy of iPhone updates and absolutely worth your money. Going from a 5s to a 6s, almost everything is improved tenfold or more: Bigger, more beautiful screen; incredible camera; blistering speed; 3D Touch; faster Touch ID; wireless Hey Siri... It's hard to believe that the company has done so much in two years, and even harder to believe what they'll do to top the 6s in 2016. Is the camera, speed, or 3D Touch worth an upgrade from the iPhone 6? For me, I'm going to say no unless you're a 4K or selfie fiend or desperate to try out 3D Touch. The 6s is better than the 6, for sure, but I'm not sure it's so much better that it's worth ditching your 6 along with a bunch of your hard-earned cash. If you really want the yearly upgrade, I'd actually upsize to the 6s Plus: You'll get a bigger battery and optical image and video stabilization, both of which have the potential to be huge upgrade incentives, if that's what you're looking for. If you're on Android and considering a switch, it's all about the ecosystem: Do you want to live in a world of iOS apps, iCloud services, and OS X interaction? If so, the iPhone 6s is the best device yet for entering Apple's world. Indecisive about the iPhone 6s versus the 6s Plus? Rene talks about its virtues in our iPhone 6s Plus review, but here are my thoughts: If you need optical image stabilization, a bigger screen, better battery life, and you can afford the extra $100, then get the 6s Plus. If you prefer a phone that's sized more like a phone, the iPhone 6s is a wonderful upgrade for those looking to do so. And both iPhone 6s models are speedy, oh-so-3D Touchable, and available in beautiful, beautiful, rose gold.